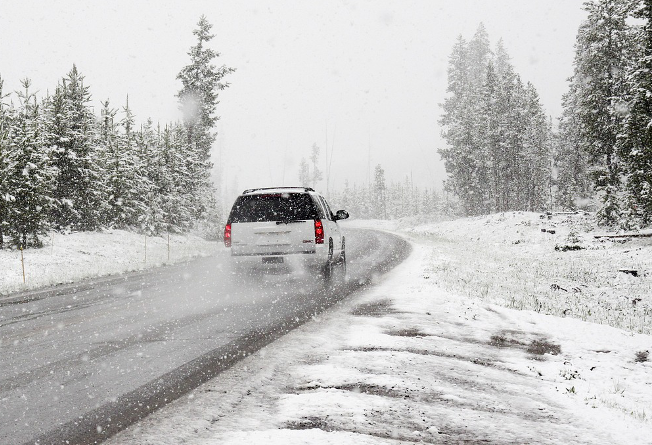 With snow already in the forecast for many states in the Midwest and Northeastern states, concerned drivers and travelers, in general, can gain a measure of comfort knowing their municipality is using an Internet of Things (IoT) enabled app known as WeatherCloud. Built by Boulder, Colorado-based Microsoft partner Fathym, WeatherCloud helps to enhance driver safety during inclement weather. The cloud-based application runs on Microsoft’s Azure cloud infrastructure and helps municipalities better prepare for snow storms and the like rather than simply reacting to the weather patterns after they’ve occurred. Fathym’s WeatherCloud features proprietary sensors that go on vehicles and on the side of the road and that take a ton of data such as weather data, road weather data in particular, “including the temperature of the road, whether there’s snow, ice or humidity — all sorts of things go into this so we can give our customers real-time, hyper-local road conditions,” said Christy Szoke, chief marketing officer and co-founder of Fathym. Primary customers for WeatherCloud are departments of transportation that are maintaining roads and want to know up-to-date information on road conditions. “By having access to microclimate information regarding current road conditions, municipalities can not only keep their citizens safer but also potentially save hundreds of thousands of dollars, if not millions, by being more efficient with resources,” according to a Microsoft blog post about to be posted. According to the National Oceanic and Atmospheric Administration, every year dangerous road conditions result in as many as 7,400 deaths and 700,000 injuries, while businesses and municipalities spend $2.3 billion on snow and ice control operations. Fathom provides an IoT development platform based on Microsoft’s .NET, Szoke calls it an IoT ecosystem, based on Microsoft’s technology. “Microsoft and its product suite really allows us to offer everything from data ingest all the way through analytics and so we like to say we’re a full-spectrum ecosystem,” she said. But it wasn’t always that way. Fathym started out on the Amazon Web Services (AWS) cloud and switched to Microsoft’s Azure in the fall of 2015. Indeed, one of the reasons the company switched to Azure from AWS the breadth of offerings from Microsoft, including Azure IoT Hub and Azure Event Hubs, Szoke said. Microsoft said WeatherCloud is currently being used by the National Center for Atmospheric Research, the Alaska, Utah, Iowa and Colorado Departments of Transportation and the Meteorological Service of New Zealand. Commercial fleets also use the technology, Fathym said. “With Fathym’s personalized dashboards, city officials can view current road conditions, future forecasts, and set alerts based on incoming data, helping cities maintain safer roads and make more strategic and cost-efficient decisions regarding their weather-related response systems,” Microsoft said in a blog post. Moreover, Smith said Fathym’s developers are “really happy” with the direction Microsoft is going with the different Azure services that they’ve started supplying and the level of integration that they are doing with Visual Studio. Fathym launched in 2009 as an application development platform targeting students and teachers, then realized there was a much larger audience for its application development platform and they brought in device management, devices and Internet of Things capabilities. The company pivoted completely to the IoT space in 2014.